I love that set too and it was my initia idea, but the pillar never drops! I do like red, so maybe I'll try and gather the offset recoloured nightsong pieces from Ulduar 10. T6 + Origin of Nightmares, though I do like the basic look of Fandral's, might not bother transmogging the staff initially. I'm going T4 and for weapon... I'm leaning towards Astromancer's staff for lawls... in terms of what would match my gear, I'd desire to use the BoE Staff that drops in SSC, the name escapes me atm. Will wear the Tabard of the Cenarian Expedition to complete the ensemble. For me, the T5 shoulders are iconic, so I'd go for that tier. I raided back then and had quite a bit of T5, so I don't have any qualms about it. 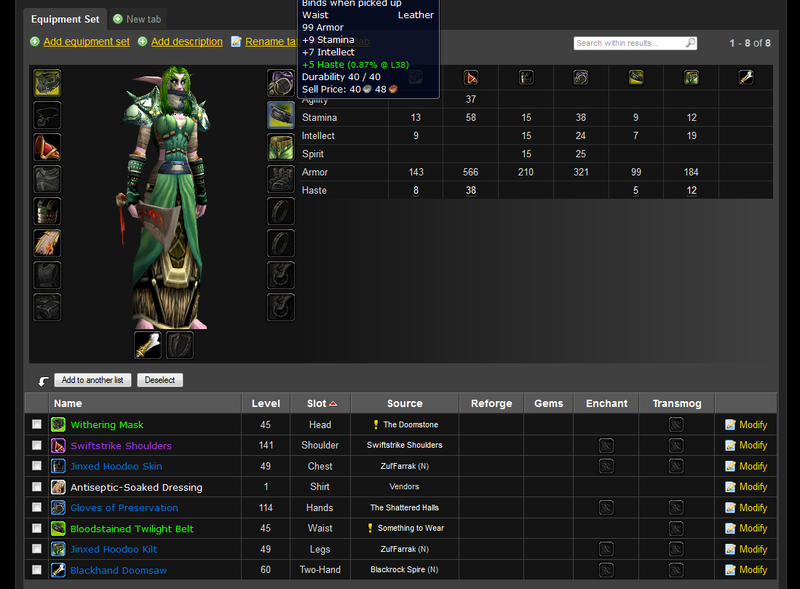 That's not Tier gear, that was one of the old Dungeon sets, prior to level 60 raiding, so it has no tier number. Looks like Feralheart, which was Dungeon Set 2. Laurind wrote: ohhhhh I want that blue set!! The blue set drops off various normal and heroic Outland bosses. It's a pain... especially Black Morass! I really want the red Ulduar recolour. With the new crossrealm raids available... I hope more people do transmog runs. You're right, I always heard people call it tier 1.5, it is the Feralheart set. Dunno why, it's the set of gear you get before you get Tier 1.
i went with heraldic for pve spec and not quite sure what it's called for pvp. i wanted my toon to show a bit of skin. Purple set! It all started with my openraid FL runs where I slowly gathered pieces here and there...then I got Kiril, and changed to my purple pieces, had the kilt in the bank and was delighted to see it matching, and went to Ramparts to grab the purple belt! 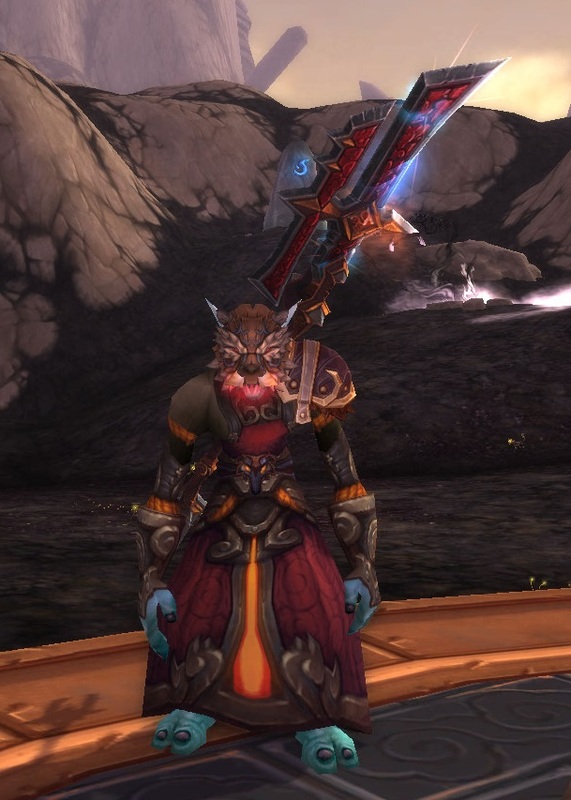 Resurrecting this old thread, because I've finally caught the transmog bug, too! 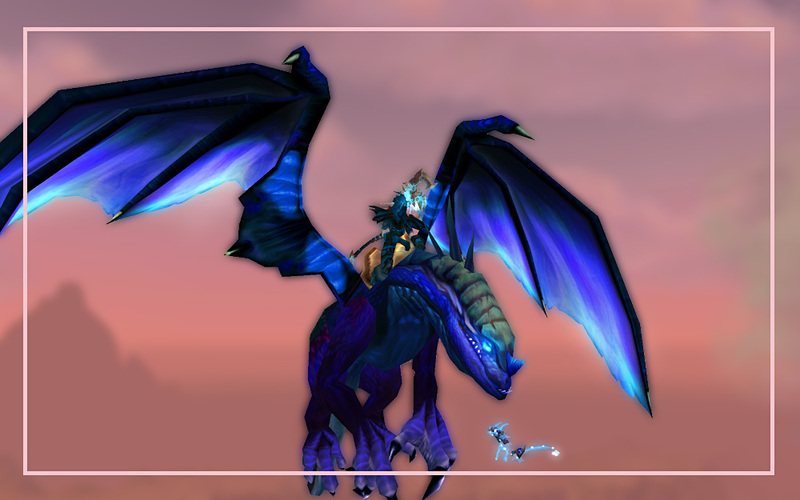 My Tialy went all blue with the Clefthoof set from Outland. It goes really well with the Frostscythe! 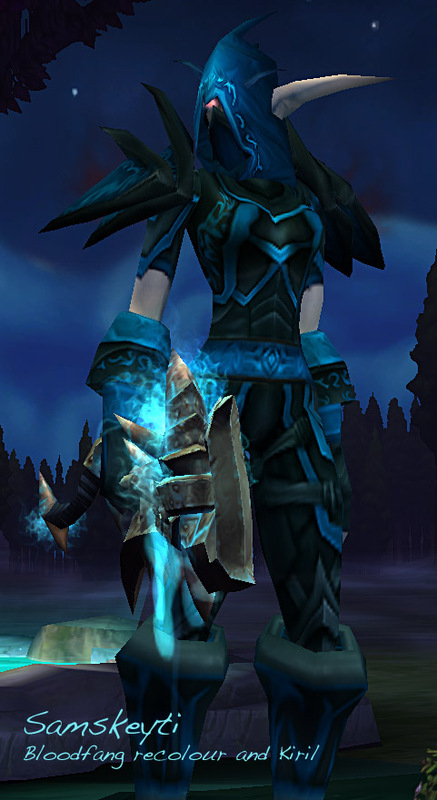 Same, though I refer to it as my "Warbringer" Set as its all I ever do with it lol. I am soo close to being able to solo the warbringers as feral (I can totally do it IF they don't have the fear spell with no problems). I feel like Shao-Dun Heroic is the only polearm for that set though. I feel like they knew what that polearm was going to look like at MoP Launch and made it fit with the challenge mode set on purpose. 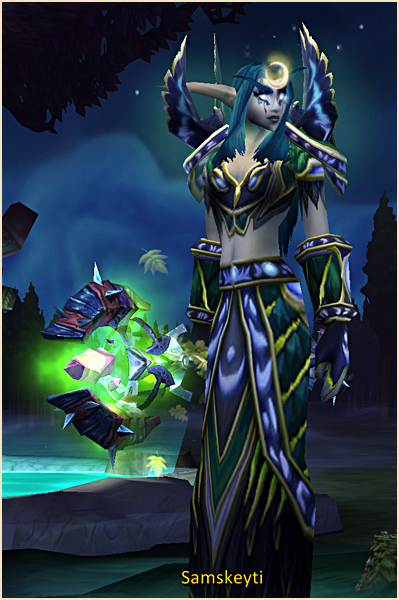 I use the 10 man Spire of Withering Dreams http://www.wowhead.com/item=45695 with my challenge mode Transmog. I think it fits very well.